‘Here’s a song I wrote 40 years ago – when I was 16,’ Moyet is introducing Yazoo classic Nobody’s Diary during the most hits set we’ve ever seen her perform – and we’ve seen a few. The UK’s pre-Christmas gig circuit is renowned for the bad behaviour of its audiences, not least for some of its most vintage acts, and tonight was blighted by some very odd fan antics indeed. Moyet is explaining the story behind The English U, a track from her fine and most recent album Other, when a heckler interrupts the tale of the singer’s late mother’s Alzheimer’s with a rant which concludes with a plea for her to play early solo hit Invisible. Later Moyet stops Yazoo chart topper Only You midsong because an audience member is apparently shining a light into the star’s eyes while filming. It’s especially odd for us because we’re not big fans of gigs at the Palladium, it’s all-seater and, although the views are great, it suffers the difficulty that many such venues face of, perhaps unselfconsciously, discouraging participation, particularly dancing. In fact, it’s only during final song Don’t Go, which we’ve never heard played live, where the bulk of the audience rises to its feet almost involuntarily. It’s a song so catchy that it’s almost impossible not to dance to, although we would’ve said the same about Yazoo classic Situation which precedes it by a handful of songs and sparks much chair-bound gyrations. Elsewhere, new album Other gets a decent showing and it’s much better live than we remember. Beautiful Gun (about ‘an American love affair I don’t understand’) and The Rarest Birds, a touching lovesong to the open-mindedness and community spirit of her new Brighton home, that prove most unforgettable. Early solo hits All Cried Out and Love Resurrection are reimagined in the electro dance/Yazoo-style of Moyet’s last two albums and fit perfectly in a set we only saw the start of in Glastonbury’s Leftfield this summer before rushing off to see the Foo Fighters. Particularly memorable is Moyet’s flawless vocal, deep and rich but also capable of soaring up to the highest heights at a moment’s notice. We’re in the Royal Circle behind TV host Graham Norton who is in the front row, appearing to absolutely love it. 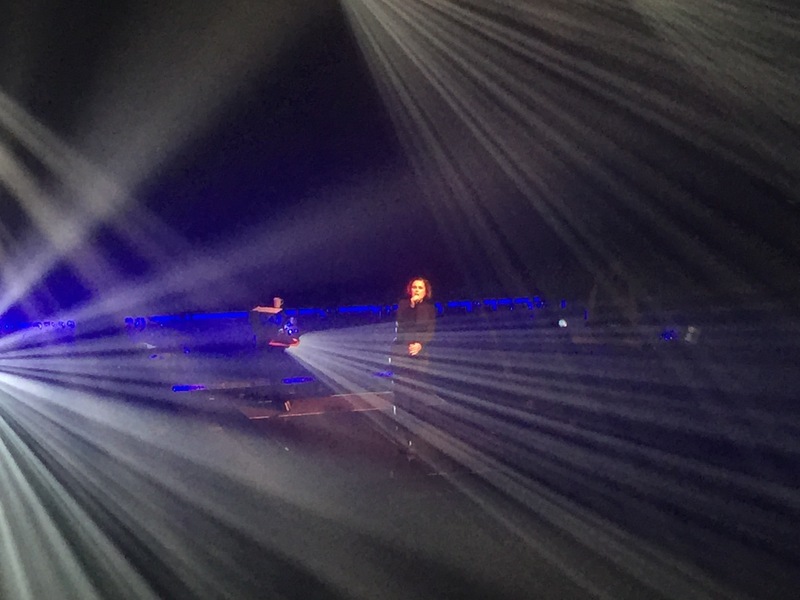 We first saw Moyet at the old Wembley Arena in the late 80s, at Portsmouth Guildhall in the early 90s and more recently at London’s Albert Hall and Royal Festival Hall, as well as at Glastonbury. We definitely prefer her in a less theatrical venue and can’t believe her fans would behave so disrespectfully to her, especially at such a location. We’ll doubtless see her again – and again – and hope she isn’t put off by the behaviour of the mindless minority.